Happy Friday!! This was quite a week for me! I made a big life decision and on top of a hectic week, it made my anxiety high. Next week is a new week and I am hoping it slows down a bit. Having some type of order always helps me feel better. 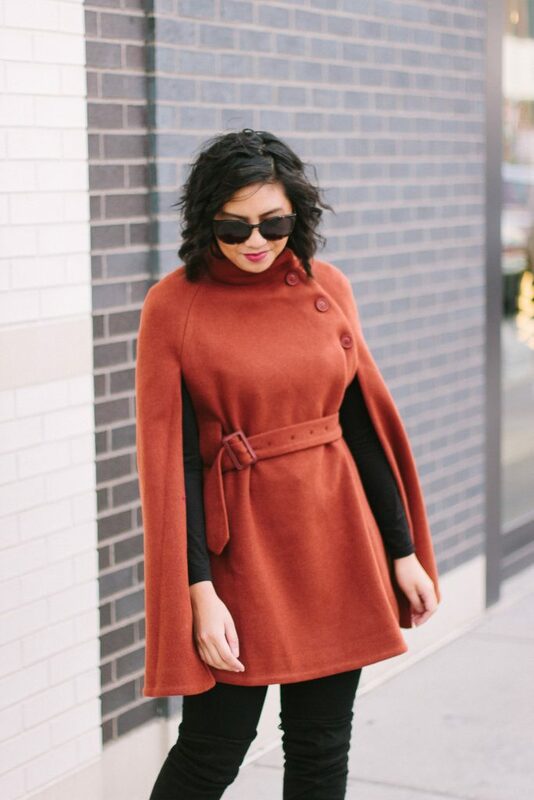 Today, I want to talk about something fun like this wool cape! It feels like it has been awhile since I wore something fun and fashion forward. And trying on something different tends to put me in a good mood. 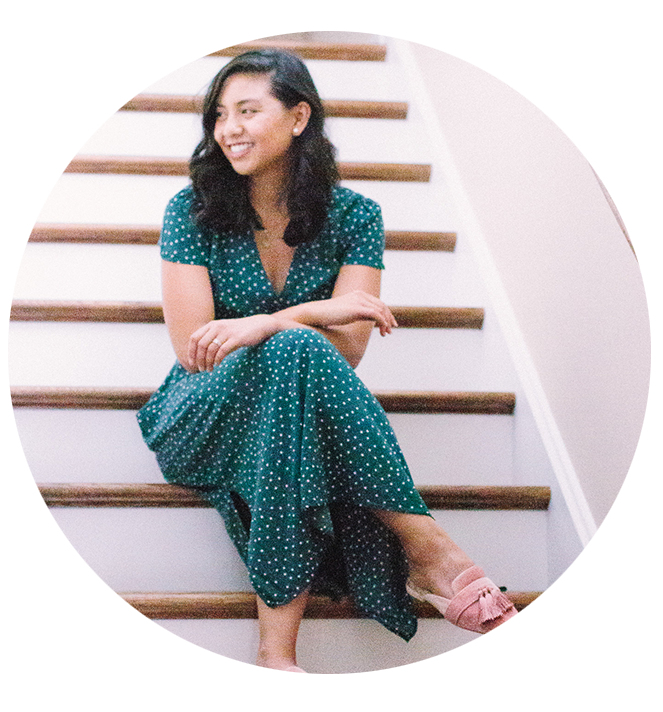 It lets me get out of my comfort zone and gives me a boost of confidence (and thanks to blogging too!). Funny how a good outfit can do that right?And trying on something different tends to put me in a good mood. It lets me get out of my comfort zone and gives me a boost of confidence. Funny how a good outfit can do that right? I’ve been sharing this wool cape on Instagram and many of you had nothing but nice things to say. So thank you so much for that! I do think this wool cape is a great way to switch up your winter look. I pretty much live in coats during the Winter, so any way to look chic I’m all for it! To make it warmer, I definitely think you can pair it with a chunky sweater. I decided to layer mine with Uniqlo’s Heattech long sleeve. The Heattech collection is known to provide an extra layer of warmth. It is a fabric that works with your body to generate heat and retain it. 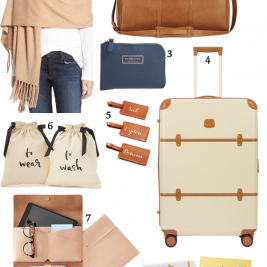 I love this collection because I do think it keeps me warm but it is also not bulky. If you are interested, check it out here to read more about this fabric’s technology and more clothing pieces! I am wearing a size small, and the fit is true to size with a little bit more room. It comes with a belt, so if you want the waist to be more fitted, you can adjust it. There are buttons on the left side and they go all the way up to the neck. It felt snug when I buttoned it so I left the neck unbuttoned. 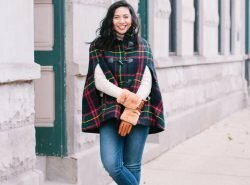 Have you guys tried on any unique, fashion-forward coats? If so, please do share! I love checking out new ones! I hope you all have a wonderful weekend! If you feel like you have been missing updates on my posts, sign up for my weekly newsletter. 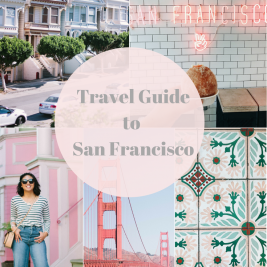 I do a roundup for the week’s blog posts, plus weekend sales! 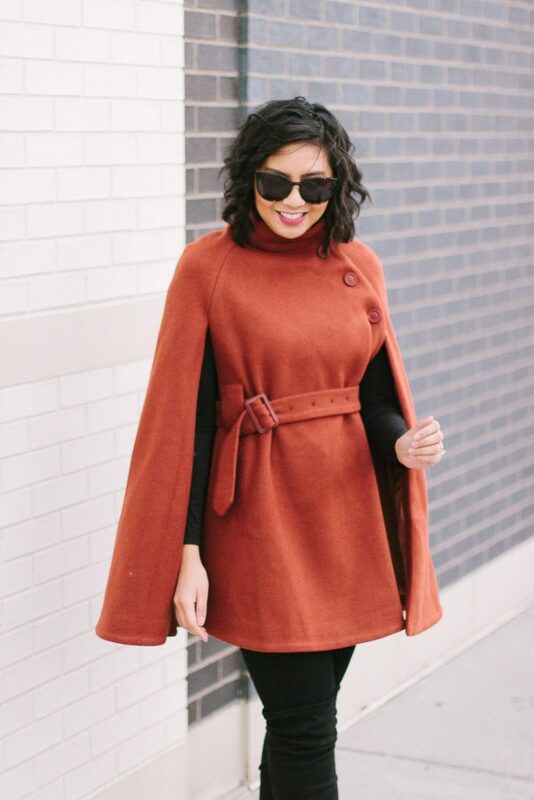 Cape’s are so fun during fall/ winter. This color looks great w/ black. They really are! Thanks Anna! Cute cape! I love the button details and how you styled it! 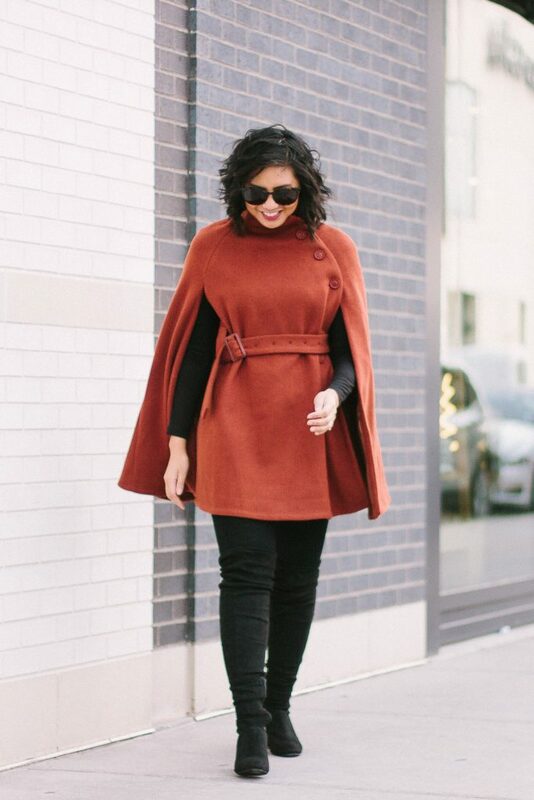 Love the wool cape, Rach! You look so lovely! That’s such a chic cape. Love how you styled it. It is such a great color too. I love how you styled this cape, it looks so perfect with those pants. I really love the color too! Oh that is such a stunning cape! I love the colour on you and it’s a beautiful style 🙂 Sadly it doesn’t get that cold here so we don’t need a lot of wool pieces! Hope that you are having a lovely weekend! Another extreme weather weekend here. So hot, we are staying near the air conditioner. Very different from your current weather! I envy that it doesn’t get cold there! Hope you are staying cool! It is crazy how our weathers are so opposite! You are looking so cute, Rach! I love doing an all black outfit with a pop of color, and this one is pretty perfect. Wow you look amazing in your style! Wow ! Your wool cape is really gorgeous ❤ Awesome outfit my dear ! This cape is the prettiest cape I have ever seen. I love the belt in it. I usually steer away from them because of its oversized style, but this belt solved the problem. Love the look! 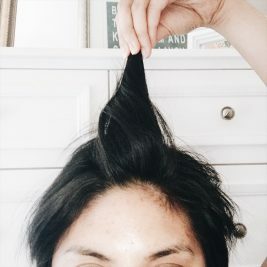 But I’ve always been afraid to rock it because of my height. How tall are you for reference again? Thank you Tomi! Don’t be afraid! For reference, my height is 5’4″. Love this cape, you look great! 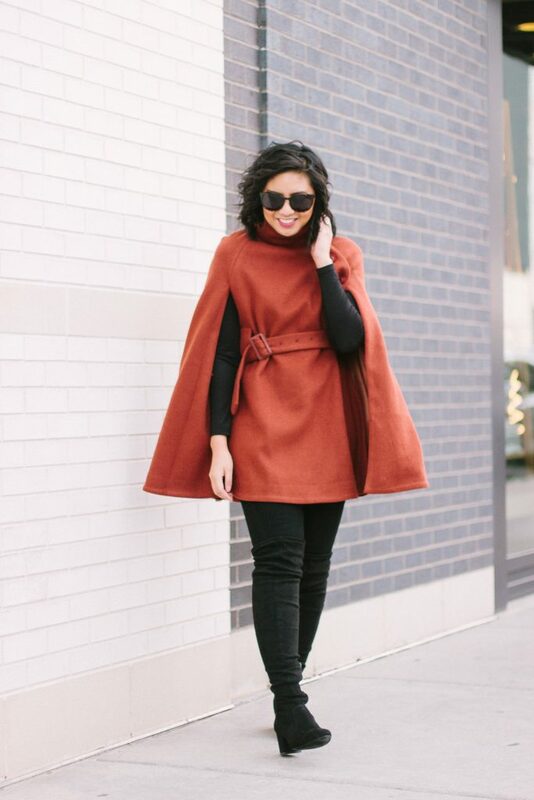 I love this cape and how you styled it. So chic! Hope you have a good week this week with less stress! Thank you Amy Ann! I hope you have a great week too! This cape is so fab! I love the color and buttons. Rach this cape is SO fabulous! Legit obsessing over it on you. The color is amazing too! I am in love with your wool cape! It looks so warm too! 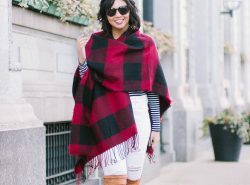 I’ve never tried on a cape and honestly don’t know if I could pull it off- but it looks super cute on you!